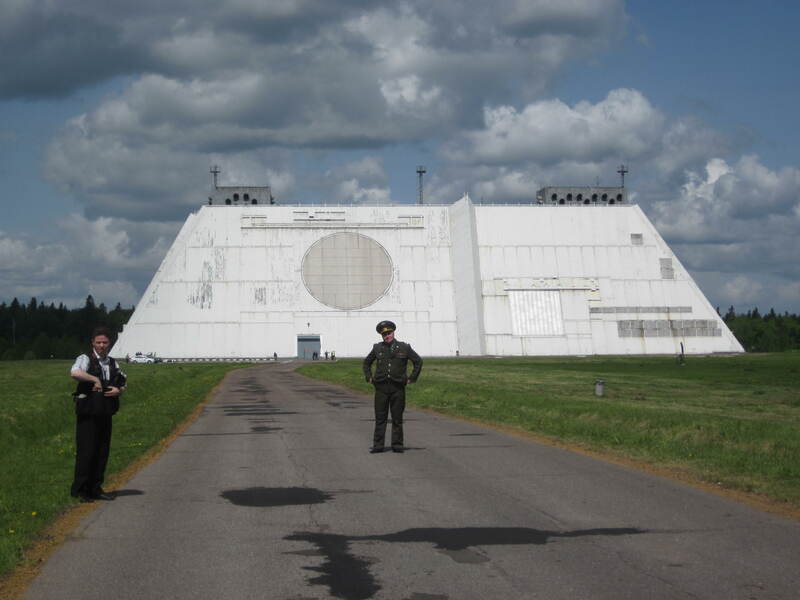 On May 26, we were taken to the Don-2N radar facility in Sofrino, about a 2 hour drive northeast of Moscow. We were taken around the station by Major General Vladimir Derkach, the Chief of Staff and First Deputy Commander of the Russian Space Forces. After the obligatory tea, the first stop, of course, was the station’s museum, which was ostensibly primarily designed for educating new staff about the history and purpose of the station. The DON-2N radar station is an integral part of Moscow’s missile defense system and is designed to detect and track ballistic missiles, measure coordinates, analyze complex targets and aim interceptor missiles, as well as automatically detect and track objects in space and send their trajectory measurements to the Central Space Surveillance Center. Construction of the DON-2N station began in 1978…. The station was commissioned in 1989 and became operational in 1996. Structurally, the station is stationary radar system…. All four sides of the pyramidal building house phased array antennas for tracking targets and interceptors, as well as transmitting commands to guide interceptor missiles. The radar station is built in such a way that in case of missile attack it remains combat operational in stand-alone mode, regardless of the external environment. All of its systems are duplicated, which makes it possible to replace equipment parts and units without cutting power. 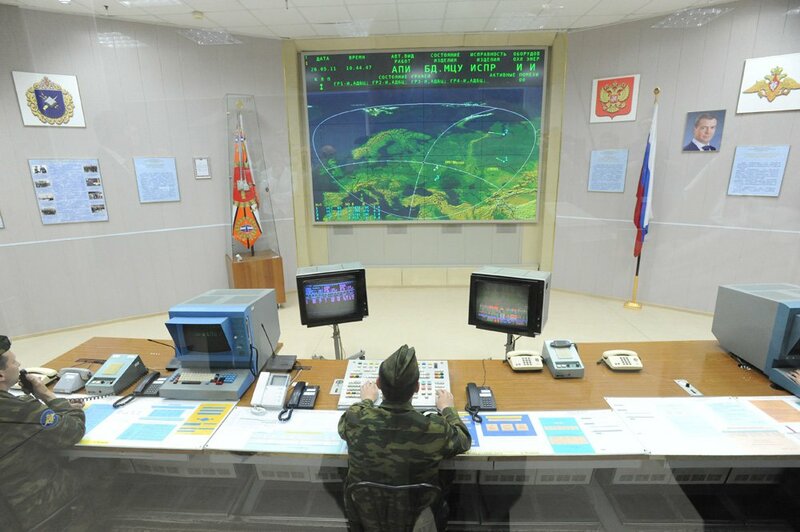 The General explained that the radar’s command and control system operates automatically once it receives authorization to do so from the General Staff. We then entered a section of the station that allowed direct access to its exterior walls, where we saw one of the elements of the phased array being removed for repair. Unlike the NATO hit-to-kill systems, Russian missile interceptors use nuclear-armed warheads. 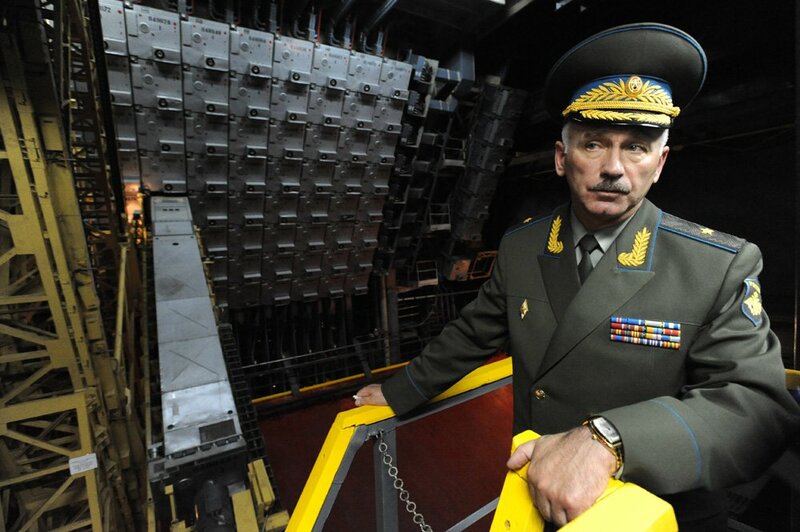 General Derkach said that Russia planned to transition to the use of only conventional warheads as the detection, targeting, and interception capabilities of the Russian systems improved and as the requirements for Russian missile defense changed. Due to its explosive power and other effects, a nuclear warhead can more easily destroy incoming warheads as well as their decoys, which present problems for “hit-to-kill” systems that must distinguish between genuine warheads and decoys. NATO countries, which have long abandoned the use of nuclear warheads for missile or air defense, are eager to promote this conversion since they contribute to the imbalance in the number of so-called non-strategic (also known as tactical) nuclear warheads and make it difficult to negotiate arms control agreements between Russia and the West. After the museum, we were taken to the station’s command center. The station’s range appears to cover most of Europe except Spain and Portugal, as well as the Western half of the former Soviet Union and a large chunk of the Middle East. Its southern border passes through the Mediterranean along a curved line that begins at the French-Spanish border, passes south of Sicily, and then along the Egyptian shoreline. Syria and Iraq are covered, as are northern Jordan and northern Iraq. In Central Asia, the coverage area includes Turkmenistan, Uzbekistan, and Kazakhstan, but not Kyrgyzstan or Tajikistan. You can see the rough boundary on the display in the photo below. We were told that in peacetime, the primary purpose of the station is to track satellites to ensure that collisions do not occur among them. And sure enough, within minutes of our arrival, the display began to show various objects moving across the screen, while officers audibly described new objects appearing and disappearing as they moved through the radar’s range. However, since no objects were being tracked when we arrived, it’s not clear whether this was routine practice at the station or a special demonstration for the visitors. Note the equipment on display in the photo. The computer equipment in particular seems to be similar to what was used in the US back in the 1970s. Nevertheless, the facility is certainly in fine working order. Our hosts indicated that it could be quite helpful to a European missile defense system, as it could apparently detect any missile launched from Iran in the direction of Europe. The discussion was quite positive, with the station commanders apparently quite positively inclined toward the possibility of cooperation with the US and Europe on missile defense. The last stop on our tour was a quick stop to see the actual phased array antenna from the inside. In the photo below, you can see one of the array pieces being removed for servicing. Our overall impression of the radar station was quite positive. This is another case of highly qualified members of the Russian military doing the best they can with somewhat outdated equipment. And as with the majority of senior Russian officers I have met, they are quite interested in exposure to how their specialties function in the West and very eager to cooperate with foreign militaries. Hopefully, the politicians on both sides will find a way to build the necessary trust to make such cooperation possible on a practical level in the area of missile defense. This entry was posted in Equipment modernization and tagged Don-2n radar, General Derkach, missile defense, phased array radar, Valdai. Bookmark the permalink.